Winmate M-Series HMI is designed to meet the growing demand for Intelligent automation systems with smart displays suitable for use in Industrial Control System, Home Automation, and Management Systems. The M-Series HMI is a multi-touch solution featuring the durability, usability, and accuracy Winmate is known for. 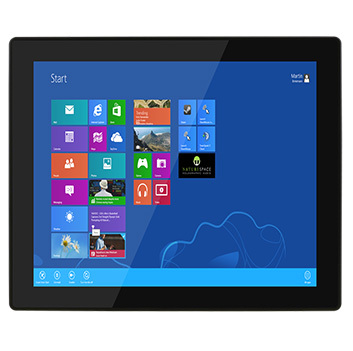 • Screen sizes available in 10.4" up to 21.5"
This Winmate M-Series Multi-touch HMI is available with various sizes. 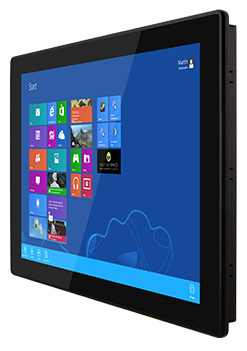 Depending on the application, users can select from 10.4", 12.1", 15", 17", 19", or 21.5" HMI. True flat display with an Aluminum enclosure, it is completely sealed system with Front IP65 protection against water and dust. These product series can be ordered with two designed motherboard using either Intel 5th Generation Broadwell 5200U or Intel Baytrail E3845. The M-Series HMI features a sunlight-viewable, projected, capacitive multi-touch screen that supports finger movements and gestures like pinching (zoom-out), stretching (zoom-in) and swiping for exceptional usability. Connecting to a central database, the M-Series HMI also provides real-time updates for process and manufacturing control.